This year I had the pleasure of attending Stanford’s Medicine X conference for a second time as an Oral Ignite presenter. The presentation focused on some of the barriers the mPOWEr team have encountered while implementing mPOWEr and how our collaboration with Microsoft Research aims to overcome these challenges. The session began with individual brainstorming where participants in groups were prompted to recount a visit to the doctor that could have gone better. After sharing within our group, we chose to focus on a group member’s experience where she had less than ideal outcomes after ear surgery. The moderators then prompted our group to envision how A.I. could be used to improve on her surgical experience. 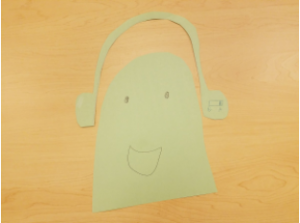 Using rapid prototyping tools, I designed a set of headphones using A.I. that would have given her the ability to experience her hearing abilities before and and after surgery. 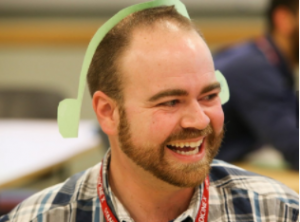 These headphones could be used to facilitate shared decision making between patients, family members, caregivers, friends, and providers. The lessons I learned from this session highlight the need to consider how we as researchers need to incorporate all perspectives, particularly, when designing healthcare innovations. Looking ahead I will be using participatory design methods to incorporate the patient perspective to improve the patient mPOWEr experience, which will of course mean more blog posts on the subject.